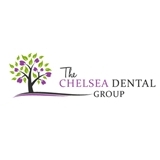 Chelsea Dental Group (New York) - Book Appointment Online! At The Chelsea Dental Group, Dr. Pauline Vu is a leading provider of dental health treatments to patients throughout New York City and the Chelsea area. Dr. Vu offers treatments such as inlays and onlays, dental implants, porcelain veneers, and numerous cosmetic dentistry options. As a New York native, she received her Bachelor’s of Science in Biology from Wellesley College. Dr. Vu obtained her Doctoral degree in Dental Surgery from the New York University’s College of Dentistry in 2009 and went on to complete her residency the following year at Montefiore Medical Center.